The Place to Be operation characterises the work of Hometown Plus: showcasing how people-powered, socially responsible action can regenerate under-utilised shopping centres. Part-handmade craft shop showcasing the wares of talented people from across Newcastle-under-Lyme and North Staffordshire, part-artisan market space and part-workshop facility for children, young people and adults with a creative side, The Place to Be is a former discount store that has been reinvented with a new purpose for the community. 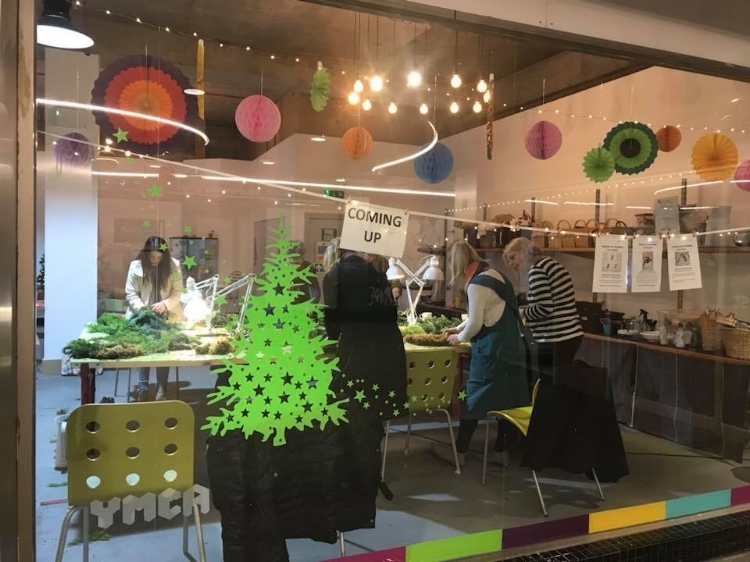 Brought back to life by YMCA North Staffordshire in June 2017 after standing vacant for 9 years, the Place to Be is now a hive of positive activity situated in the heart of Astley Walk at York Place Shopping Centre. Each month, the Place to Be’s team of staff, visiting artists and design collectives - such as Middleport Pottery and Spode Studios - put on themed craft workshops for children and young people; family games nights; specialist clay, glass and jewellery workshops for adults; artists’ network and learning exchange events; artisan markets and more. By partnering with a strong third sector partner and giving new purpose to a vacant unit, Hometown Plus and Place To Be are creating social value within York Place Shopping centre; playing a greater part in building community spirit and helping to revive the fortune of a flagging shopping centre that is short on footfall. We're delighted that The Place To Be's social media following is a record high and they are in the process of fielding enquiries from a couple of fledgling entrepreneurs in the creative and heritage sectors as they push on with their mission to illuminate, enrich, empower and mobilise people from across the social spectrum and get them behind their work to help make York Place a destination of choice for all with an appetite for doing something different while in town. More information on what’s happening at the Place to Be and how to get involved can be found on the Place to Be Facebook page.